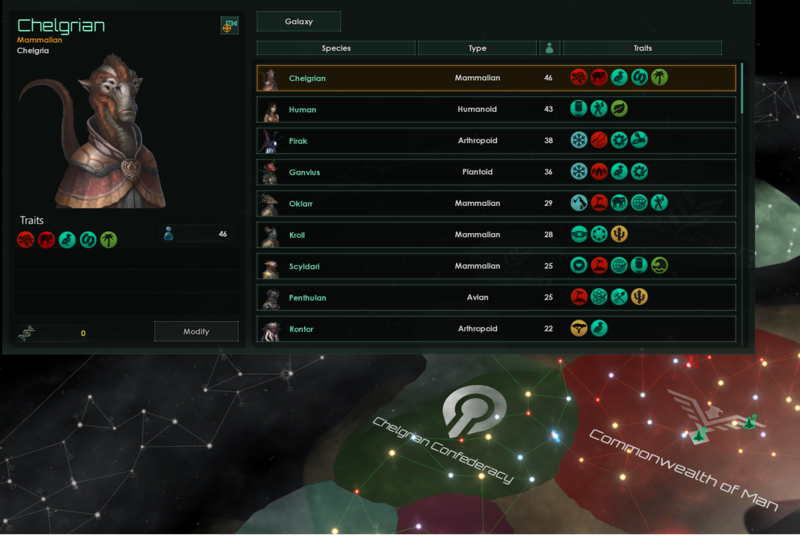 So, for those not in the know, I am very much a fan of Stellaris, Paradox's sci-fi grand strategy game. 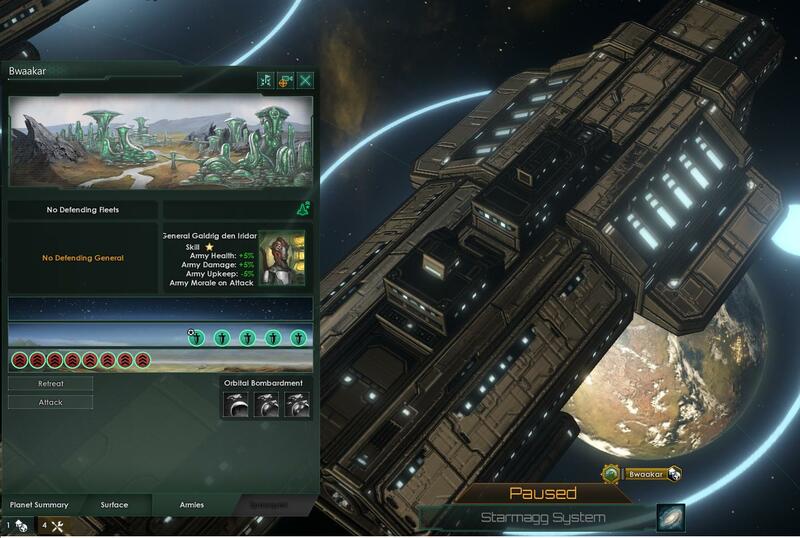 Eagerly anticipating the upcoming Utopia DLC and having reread some Iain M Banks, decided to start a second game of Stellaris, as my first save was reliant on v1.1 of the game. So I've started a game in Kennedy - that's v1.4. Had enough fun that I was inspired to start a mini-AAR in the universe the game generated - hope the prologue is enjoyable. The frigate-class Reaver “Ironspear” broke hard to the left as it exited the jump lane into the Simtinasca System, expecting an ambush. Redtooth Clan Second Captain Camhail Lodestock deployed the odd scrambler to mask his hyperlane trail, accustomed to the dangers of the Orion Arm, and awaiting the blare of an alarm. It had therefore been a shock for Camhail Lodestock – a respected, if aged racing pilot of the Hark system long since passed his prime – to not only have been summoned on a mission sanctioned and protected by the six reaver habitats, but to find that the mission involved a subject spoken, squeaked, hissed, and bleeped of in hushed tones for centuries on refuelling stations and trade posts. Rogue Zaxxoid. For as long as the various races of the hodgepodge anarchy that was reaver society could remember, the Gamus Veil - a vast nebula that began on the far end of the Orion Arm - had always been Zaxxoid. While Camhail himself was descended from a mix of races who had over time become so adapted to low-g environments as to find the concept of living on planets archaic, the even more ancient inhabitants of the Gamus Veil were still a mystery. The Zaxxoid had always been in the Veil, despite technological ability bordering on the obscene, far in advance of any other known species. And for reasons never quite clear, they stayed on their planets and habs, while their numbers and ambitions stagnated into decline. Any ship which sought to enter their territory was swiftly ejected or destroyed; and while they generally didn't venture beyond their own systems, an upstart reaver clan trying to settle on their doorstep might temporarily alter the policy (for which read, aforementioned lessons retaught and relearnt). Practically nothing was known of the Zaxxoid beyond that. They called themselves the Remnant, but of what, noone knew. Their attitude towards less advanced forms of life was much as a corsair might view an insect underneath his boot. Despite the fact that the Zaxxoid did not in any case wear boots, Camhail had no interest in being accidentally squished. The several dozen systems between the Gamus Veil and the planet-bound species in the Inner Galaxy that was the Orion Arm had remained relatively lawless (and free) in part due to the eradication of any species emerging on the Zaxxoid border. As a result, it was a bastion of anarchic enterprise, with the scum of the galactic sector forming cartels, smuggling rings, slave markets, and primitive hunts. This was despite the best efforts of various more ordered civilisations. Most recent of these were the Chelgrians, a bunch of superstitious apes from the Inner Galaxy who had but recently discovered space flight. Despite the best efforts of Camhail's compatriots, they had begun mining operations on the edge of corsair space, seeking to bring their own brand of zealotry and religious slavery to the Arm. Rumours persisted however that the Zaxxoid were not as uniformly insular as they made out. Over the centuries, rogue individuals would escape, flee, or be sent beyond their space, meddling among primitive civilisations for a time or searching for long-lost knowledge, before usually being captured and returned by the Remnant for whatever punishment awaited them. The problem was that the Zaxxoid did not like to send their ships on such retrieval missions. Likely because, were the ship lost, whoever salvaged the remains would possess technology with which to conquer half the spiral arm overnight. As such, they preferred to pay less advanced races to deliver their citizens as glorified chauffeurs and prison guards. And so, Camhail had been ordered by his superiors, unusually and in no uncertain terms, to rendevouz on the edge of Remnant space. He had never seen, let alone met a Zaxxoid – but upon being boarded by four carapaced creatures of varying colour and size he could nonetheless confirm they were more than large enough to squash him with barely an arthropoid afterthought. He was confined to quarters while they refitted the Ironspear to their own needs, before finding himself alone aboard ship with a single remaining Remnant operative, en route to the Starmagg system. His passenger, partner, captor, or guest, whatever it was, had only left it's quarters twice during the weeks-long voyage since. His own scanners could not penetrate the hold, and nor could they make sense of the creature's biosigns beneath the carapace when it emerged. He didn't even know if it had a name, and it didn't volunteer one either. But he had at least been given a basic briefing file by the Zaxxoid on his own part in the mission. The rogue individual had apparently travelled with a fairly basic ship, by Remnant standards, to the Starmagg System on the inner rim of the Orion Arm. 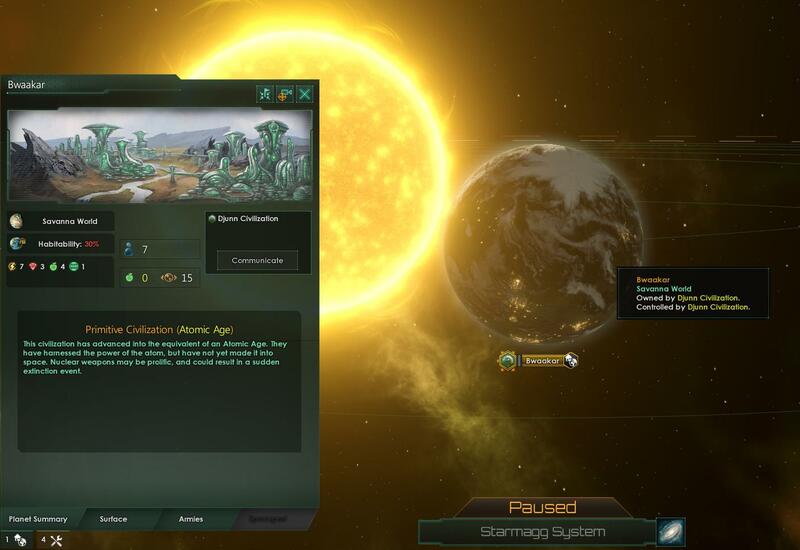 They had not specified which of the two habitable worlds in the system it was; but it seemed likely to him to be Bwaakar, populated by a bunch of primitive plantoids only just mastering atomic theory, and only just recovering from various slaver raids and low-level indigenous warfare. The other planet had little beyond an interesting race-course used by the cyclical betting syndicates, and a long-abandoned duelling arena. 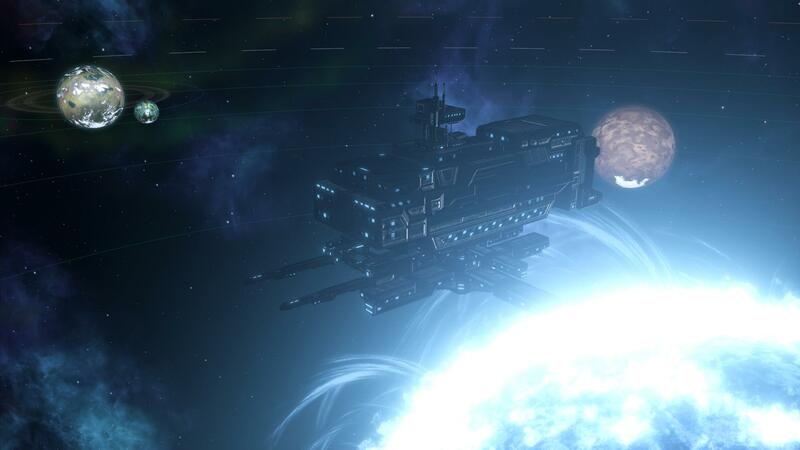 Several days after entering Simtinasca, his engines began charging once more to open the hyperlane into Starmagg. His initial excitement had passed, and now he longed to end this rather dull mission. Obliging the need for false secrecy of an elder race much as a child might oblige a senile grandfather had grown tiring. But it brought a grin to his outer teeth to think of his own grandchildren, and a pang of longing for home. His passenger came on the bridge for the final jump, the only communication an aside on the primitive nature of hyperlane travel. It was a relief when they successfuly entered the gravity well of Starmagg. 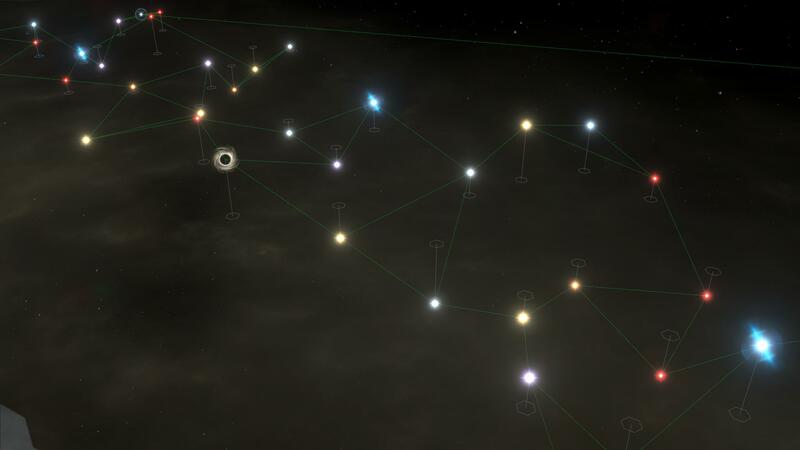 Five planets greeted the bridge holoscreen around a single yellow dwarf, with two showing viable biospheres. At least the rogue hasn't blown up the Djuun. The Zaxxoid ended the ominous silence. "Enter an orbit of Starmagg I, Primitive Officer Lodestone. 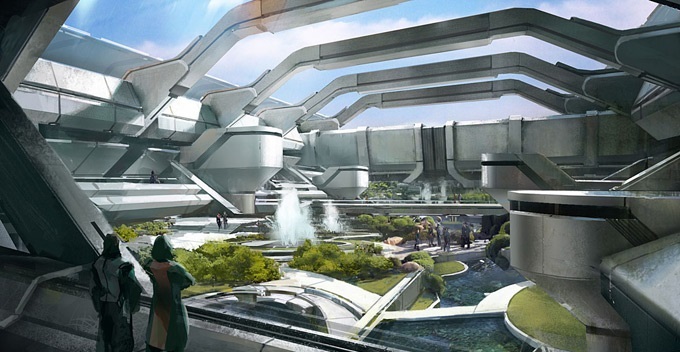 Sensors indicate low-tier space vessels incoming to the system, but these shall not interfere with retrieval." "So you'll finally get the guy, huh. What then?" "You are not privy to such information." "Fried? Jailed? 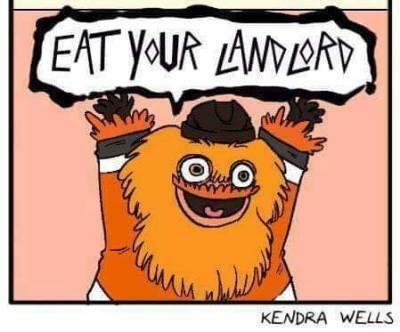 Eaten? How long has he been on the run for, anyway?" "He has been absent for sixty-three of your standard orbital cycles." "Sixty-three years? And you're only just sending someone?" "There is no need for haste, Primitive Officer Lodestone - as you can see, this planet is no danger to us. Now, we shall enter orbit on the following course." His presence from thereon in became a formality, the hulking alien steering his ship above the dry and dusty plains. Below, industrial cities belched black smoke into the air of Bwaakar, while the strange plantoid Djuun on the river plains cultivated baser crops as food, and animals as prey. Even a cursory glance confirmed the planet suffered with the worst excesses of industrialisation, and radiation levels were elevated. They entered a geostationary orbit over the largest alien city, while the Zaxxoid activated a cloak over the ship and returned to his quarters without a word. That should fool any watching Djuun, anyway. He briefly considered trying to hack the cloaking software, but he was now completely locked out of his own ship, bar comms and sensor data. Eventually he returned to his own quarters, dozing off in his bunk, until his ear jolted at the sound of the Zaxxoid several hours later. "Primitive Officer Lodestone, awaken. I am now departing the ship for the surface. I have identified a Remnant signal within the city and am now proceeding to track down our objective. Please remain ready to depart, and I shall return shortly." Finding that he could do little else, he entertained himself listening in to Djuun radio broadcasts from his bunk. The music was terrible, but he enjoyed the various theories explainign the disappearance of nearly three million individuals in the Whitecrown Clan's raid a century ago, generally blaming anything from demons to more mortal, planetbound enemies. What they might give to know their descendants are raised as livestock for those barbarians not a hundred light years from here. His relaxation ended however, when a single signal started to replace the discussions - and all other station frequencies. Bounding to the bridge, he first feared the Remnant operative had been compromised. Translation software finally kicked in again, however, and the voice - originally broadcast in broken Djuun - echoed through the ship on repeat. "We come as teachers to the Djuun of Bwaakar. In the beginning was the Untold, and Darkness. Then came the Light of Undaunted, of Percipient, and The Benefactress; and with them Truth. 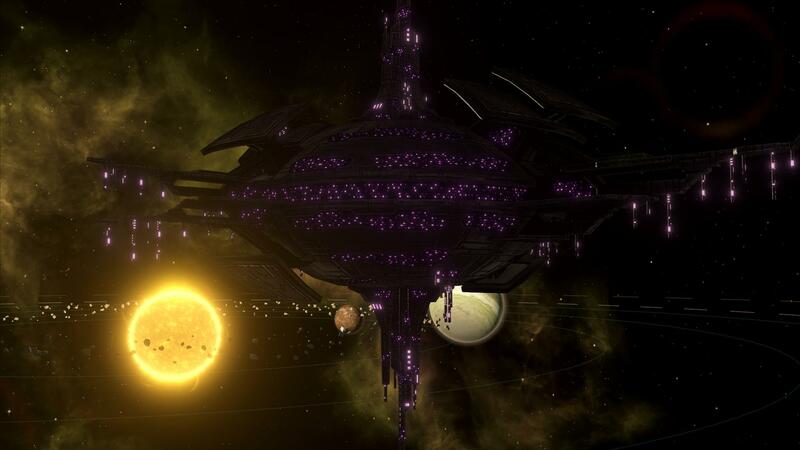 The Chelgrian Confederacy brings light to this darkness, and shall reward those who submit to Ascension. But those who reject Truth and the Path to Enlightenment shall be destroyed. We come as teachers to the Djuun of Bwaakar..."
From the dark side of the planet, a flotilla of large transport ships gradually came into view over the horizon, small landers detaching en route to the surface. With them a thorough bombardment began of the cities, the Djuun forces confused by EMP blasts and signal jamming. Last edited by Coin on 09:17:04 Monday, 06 March, 2017, edited 1 time in total. By non-existant very little demand, here is another piece in the tale. All feedback appreciated. The hologram, representing the systems of the local spiral arm, spun slowly around the classroom. The shaven heads of thirty-five children bent towards their workstations, brows furrowed in concentration, as the Major circled the room. He grinned as every station flashed green. And the cadets were improving, he thought to himself. Few of the original colonists could have dreamt of the empire humanity had built here, far from Earth; and technological advances had only gained pace of late. Alongside this was a newfound passion for their manifest destiny among the stars - his own schoolmates had not been so knowledgable or so eager. But then, he supposed, the education system had suffered still from the hangovers of the Qarossian Wars, and the Grand Marshal of today was not so shy of commanding the media. 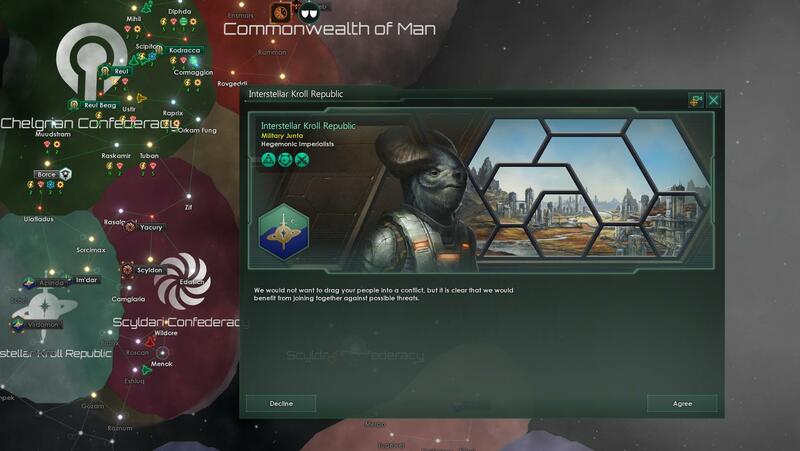 The hologram view moved slightly, displaying the territory controlled by the Commonwealth of Man, before centering on Unity, capital of the Commonwealth of Man. 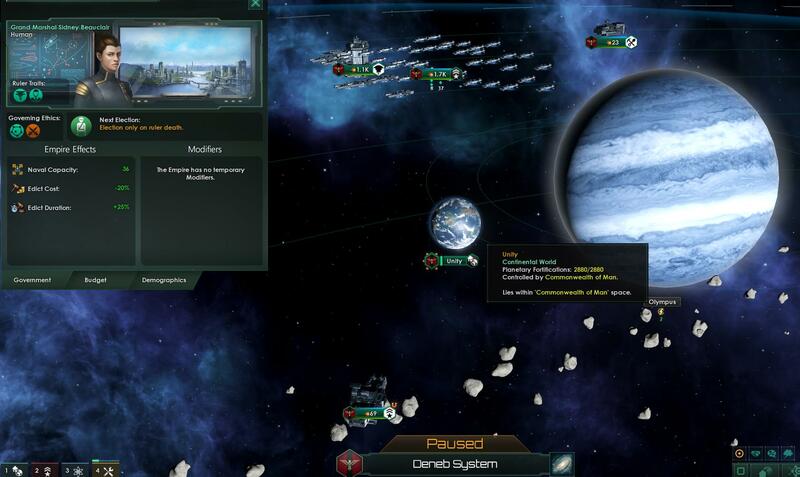 “Student Asron, state the founding date and circumstances of the Commonwealth." "The UN-sponsored Ulysses Initiative oversaw the construction of six great ark ships in low Earth orbit at the end of the 21st century. The ships were fitted with powerful but unstable wormhole generators and sent towards distant stars carrying a quarter million colonists each. Arc-ship Unity made landfall on a lush alien moon in the year 2095, encountering the Qarossian Hive in 2098..."
The youngster continued to reel off Commonwealth history near verbatim from the standard holotutorials, to the extent that the Major had to check she wasn't cheating. It wasn't unknown for certain parents to give their children memory implants, in the hope of boosting their chances during fleet exams. "...the Qarossian threat was extinguished in 2101, following the foundation of the Commonwealth by the Joint Military Council, and commitment to the total eradication of the First Xeno Danger in April 2100, Terran calendar. Discovery of hyperlane travel followed shortly afterwards, thanks to a study of alien blueprints, and human expansion beyond Deneb began. Towards the stars, humanity brings orders where Xenological life brings chaos..."
No implants detected, bleeped the scanner AI in his earpiece. Major Bill O' Donnel-Cassidy found that he enjoyed these cadet lessons far more than his fellow teachers at the Academy. Most of his colleagues avoided them like the plague, preferring to teach the older, more specialised classes; but he found it refreshing to be able to touch on the breadth of human knowledge of the stars - and their dangers. His place among the cream of Xenology professors at the Academy was secured by his continuing dissection studies of the primitives of the Ashyke system. He found Student Asron had stopped her monologue at last, and nodded his approval at the cadet. 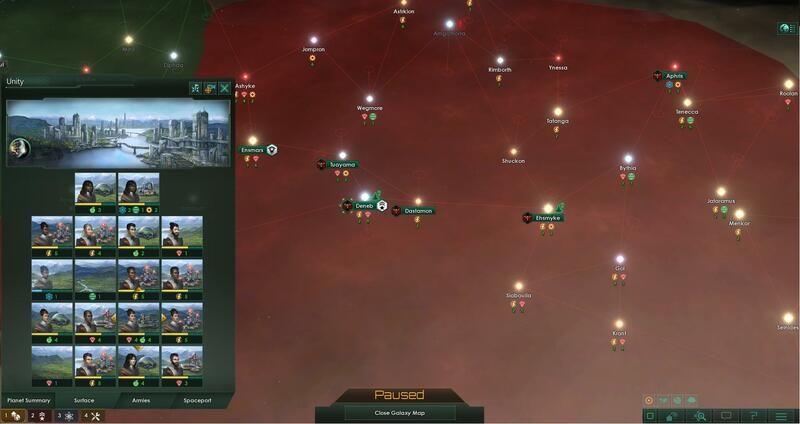 "Now since your knowledge of humanity's place in the stars is sound, we shall move on towards the threats sadly more alive than the Qarossian Hive. We know of approximately two dozen "sentient" alien species - of which 8 possess FTL capabilities. Students, enter in your console which of these is presently appraised by the Admiralty as the chief threat to humanity?" This time, several of the stations flashed red, indicating wrong answers. "The answer, class, is the Chelgrian race - known to you no doubt by the media's poetic description of space baboons." The Major was ordinarily disdainful of media nicknames for the alien fauna discovered to have accidentally made it to FTL travel, but he quite enjoyed the description of the inhabitants of Chel. A superstitious race not long come to the galactic scene (despite pre-FTL colonisation of nearby systems), they were the Commonwealth's nearest neighbours, and since contact was made in 2211, more than one skirmish in the emptiness of space had threatened to spill over into war. From an academic point of view, they were fascinating. Caste-based slavery had become endemic to Chelgrian society somewhere in prehistory, and the three-legged, ape-esque predators had always squabbled over some superstitious nonsense. First contact with humanity and several other races on their part had not been peaceful; it didn't help matters that since encountering alien life, their zealotry only increased. His own theories on the subject were gaining some traction amongst his fellows, as were his analyses of Chelgrian transmissions. In a rough attempt to guess at internal Chelgrian politics, they were the best that anyone outside Fleet Intel had. "Now class, an easier one: the planet class of the xeno homeworld." Green indicators saved any more blushes from the children. Chel: the homeworld of the Chelgrian Confederacy, chief competitor to humanity's galactic ambitions. But before he could educate, inspire, or bore his class on the subject of Chelgrian border intrusions further, the clock struck the hour, and the youngsters practically leapt from their workstations and bolted towards the door. Some things had not changed since his academy days, it seemed. He barely noticed the uniformed figure in the shadow of the door as he unplugged his holoprogrammes and got ready to head home. When he did, his face paled as he recognised the service branch. "Major O'Donnel-Cassidy. I'm Colonel Ling, Xeno Ops. We're here about the... space baboons you mentioned to your class." Get yer stinkin' paws off those systems, you damned dirty space apes. Huojin wrote: Get yer stinkin' paws off those systems, you damned dirty space apes. In the empty space of the Àshimax system, several dozen aliens mixed in the presentation hall of the station, shouting, gesturing and arguing through universal translators of varying capabilities. Silent droids accompanied some of the more important figures from the inner galaxy, while others had servants, assistants, or even slaves giving guidance, taking notes, and attracting strange looks. Most of those here were traders - hence the ostentatious displays of gold droids, or particularly rare slaves. But the ambassadors present played a different role. 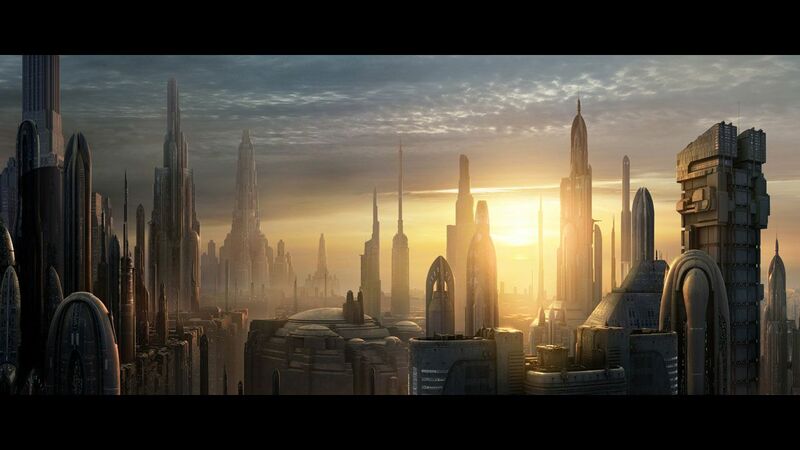 And on such a sensitive mission, Abalin had decided against low-caste servants, leaving them aboard the Chelgrian diplomatic vessel on the outer rim of the system. Should have brought a Djuun slave to really mess with them, for all the difference it'd make. Few present required breathing apparatus in the oxygen-nitrogen life support systems of The Convent. This ancient station, once a battle-unit for an extinct empire, had been renovated for the purposes of diplomatic and commercial contacts. The Four-Power Compact, guardians of peace in this region of the galaxy, had ensured it remained neutral ground, and visitors from afar were invariably impressed at the strange plants and animals (and everything in between) displayed in gardens light years from their original homes. But the designated ambassador from the Chelgrian Confederacy - Gifted-from-Schooled Uin-Abalin - was not particularly impressed with the station, nor with his present mission. Far from home and from any allies, Abalin was forced to plead with the far more powerful alien alliance to allow trade to continue, without any room for manoeuvre in defending the subjugation of the Djuun, nor indeed, in much at all. And as with so much of Chelgrian internal politics, this was impossible to explain to the alien ambassadors. Vainly they sought to convince Chel of the need to withdraw from Bwaakar - that it was a PR disaster to see the Confederacy annex primitives without provocation; that it was uneconomical; that it would hardly see them lose face if they created a puppet government on the planet. In truth, the invasion of the Djuun world had not been unanimously sanctioned by the authorities; Abalin himself had heard it said it was the work of radical zealot officers in the army. The odd rumour even implied that confederal authorities heard about it only once the invasion had begun, and by then, abandoning the invasion would have been even more politically damaging. 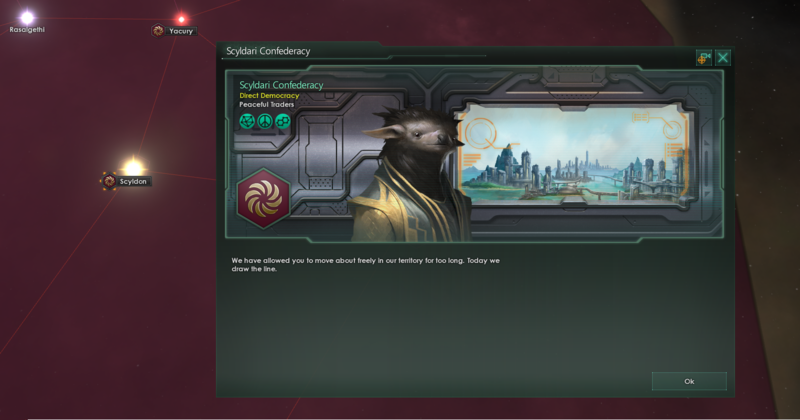 To the financiers, businessmen, and clan leaders who dominated politics, that too would have implied weakness to galactic rivals at a time when a Choosing seemed near. But more importantly, it would have implied a lack of faith in the gods themselves. The inner galactic sectors of the arm. 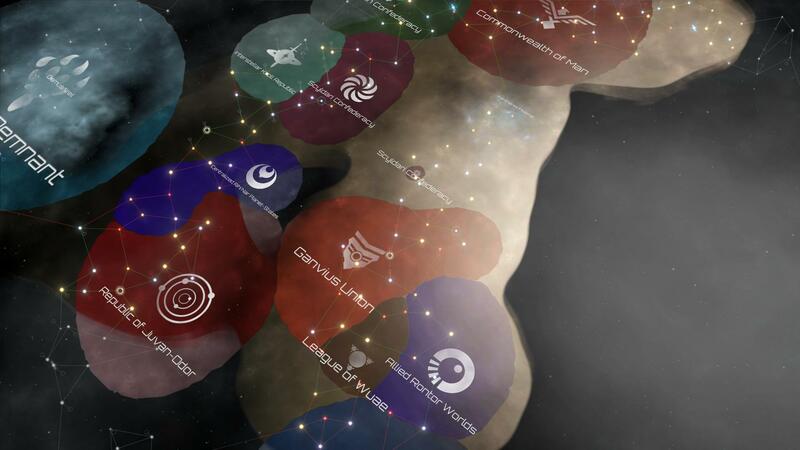 Compact powers control a swathe of territory, from the borders of the Gamus Veil to the galactic core. Such an argument - no matter how forcefully they proselytised - carried little weight to most in the Compact however. What was a minor alteration to the balance of power had been hijacked by increasingly anti-Chelgrian sentiment running through Compact societies, many of whom were rabid materialists, and innately hostile to the spiritualist Chelgrians. Helped along by those cheerleaders of xenophobia, the Commonwealth of Man. Eventually, the delegates gathered for the inevitable statement from the Compact. Abalin was not hopeful. Five standard days of talks had produced nothing. The small, furred, Scyldari ambassador - chosen to read the joint communication - twitched his ears in a mix of deference and apologies towards Abalin. A cue picked up in the pitch of the translation software on the station, used to the pacifist and deferential nature of that more mercantile species. The human delegates barely suppressed cheers, their hairless forms disappearing back to the shuttle bays, job done. The Scyldari ambassador approached him some time later as he prepared to signal Chel. “That shall not be forthcoming.” The translator seemed to delay before Abalin's response to the small, hairy creature was transmitted. "The Djuun were saved from nuclear annihilation at their own hands, and slaver raids, by our intervention; this shall only harden the radicals on Chel." If a translator could wince, it would have done so now. "Even if that were true, surely you must appreciate the strength of feeling - many hundreds of thousands of these primitives are said to have died in the invasion, and more now toil in the deep mines. The Confederacy must surely, too, see the wisdom in valuing primitive life and rights? We need-"
The Chelgrian smiled, revealing sharp, carnivorous teeth, silencing the herbivorous Scyldari. Had we risen on the same planet, you would not have lasted long. "True wisdom, Scyldari Ambassador Xol - might be for us to unite against our common foe - the xenophobic rhetoric increasing tensions across the sector. Chel shall strive for that peace, and for commerce to be restored. And I can assure you that our forces on Djuun act with the utmost respect for lower-level sentient life. " The shuttle ride back to the outer system gave Abalin several days to mull over his failures, and how he might best explain them to his superiors when the secure comms link aboard ship was reached. Several months of travel, for nothing, save a scapegoating when he returned. He was roused from his melancholy by a shuttle-alert, indicating they were approaching the diplomatic swanship SF Almighty Reason, and the promise of a more liquid form of melancholy aboard. A promise swiftly forgotten, upon sight of a Kroll ambassadorial ship alongside the Chelgrian vessel. "Ambassador Gifted-from-Schooled Uin-Abalin, this is Captain WarSchooled-from-Unheard den Iridar. The Interstellar Kroll Republic ambassador is aboard, and requests your presence immediately upon arrival. He says it's important." This time, the ambassador's grin was not for show. The Kroll were a race of large bipedal creatures, hailing from the dusty, arid world of Bapish, and famous for two things: their brute strength, and their hatred for the oceanic Scyldari mammalians. They had been trading partners of the Chelgrians ever since the hyperlanes had been discovered; but their relations with the Commonwealth of Man ensured friendship had not led to alliance. But now, they too knew that Bshaakar had drawn the Compact - and the Scyldari - closer to Man. "Perhaps, Captain, our mission has not been so utterly fruitless as we might have feared."